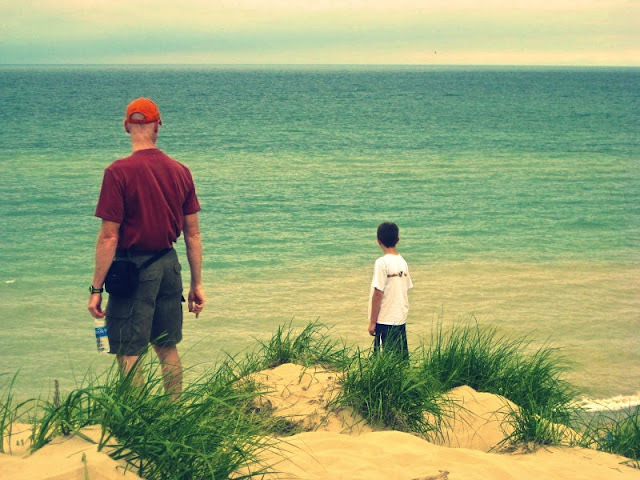 A few summers ago, we did a family holiday up along Lake Michigan. son and grandson as they stood looking out at the lake. something peaceful yet longing about them standing there. And then to the other man in my life ... The Professor. The photo below was taken when we celebrated his 60th birthday in Anna Maria. Beach at sunset ... one of his favorite places in the world. 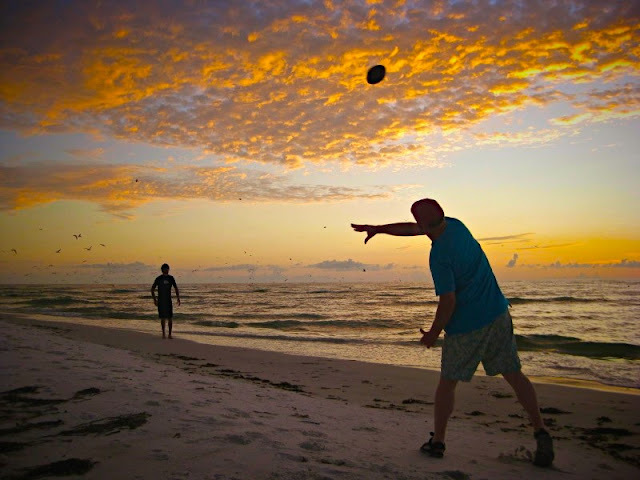 And to make it even better, tossing a football with one of his sons. He loves his boys, who bring an incredible amount of joy into his life. The same kind of joy he brings into my life. I'm linking up with Your Sunday Best today. Stop by and visit Nancy at The Rural Journal and visit some other good stuff! oh, both photos warm the heart!!! lucky you and your men! wow, both photos are really stunning! hope your weekend is going just great! Lovely tribute to your guys. Love the photos. your family is obviously drawn to water (or is that just you?)! Great post! gorgeous pictures, both of them!! happy father's day to both! Such a beautiful..wonderful tribute to the 'fathers' and men in your life!! Thanks so much for sharing these at YSB today. I truly appreciate your talent. The sunset pic is awesome. What great photos and memories on a day that I hope has brought some new ones!! Love your last photo. You have even caught the birds as well. You have beautiful memories to go with it too. We don't celebrate Father's Day until September here in Australia. these photos spell JOY. in so many ways. lovely to meet you. Oh so wonderful. Thank God for words, and cameras. happy father's day to all your men....i love these photos ! Both photos evoke such warm feelings. Thanks for sharing! You have a wonderful blog here, and I truly appreciate your photos and tribute to your men. Beautiful captures of wonderful memories. Happy (belated) Father's Day to all of your men!